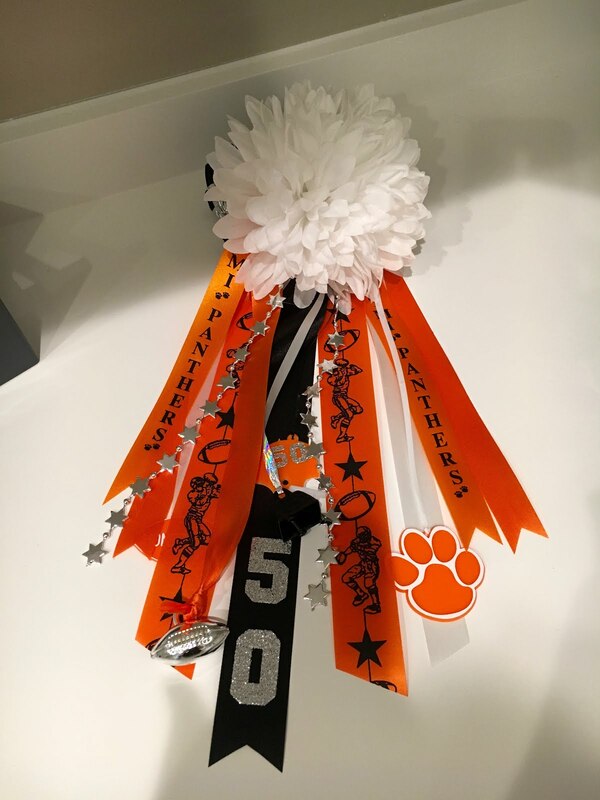 One of the cheer moms is making mums, garters, hairbows, etc for homecoming next week and 50% of the proceeds go to the cheer fund. But the prices seemed kinda high and we were unsure about the quality of the product since I heard a story of a really fugly garter a couple years ago that had to be fixed before it could be presented to the guy. I'm not good with a last minute scramble like that, so the 11th grader and I decided to give it a go with making our own garter for her date this afternoon. The finished product looks fine, considering it's the first time either one of us has tackled a Texas homecoming garter. 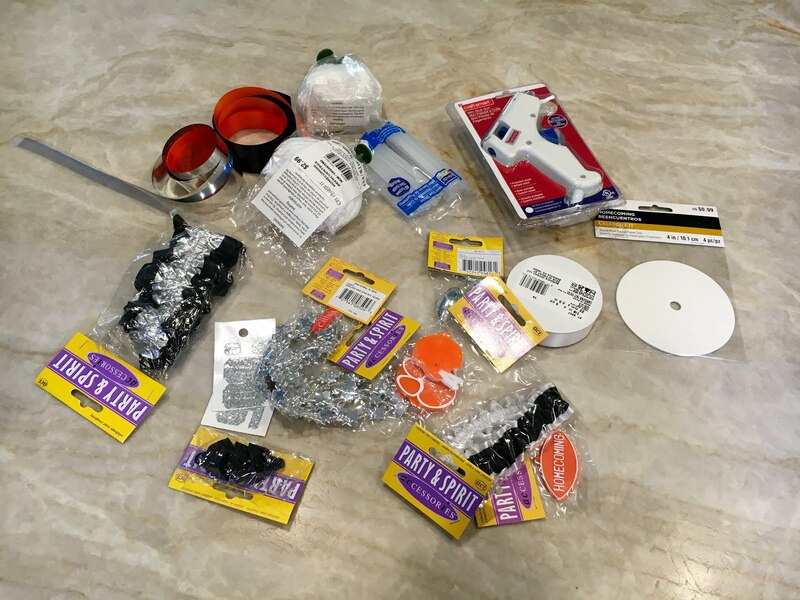 Bottom line is that I spent $50 on supplies when I could have had the mum lady whip one up for $40. I earned a couple burned fingertips from the glue gun for my frugal efforts that kinda fell flat, but we had a fun time putting it together at the kitchen island.